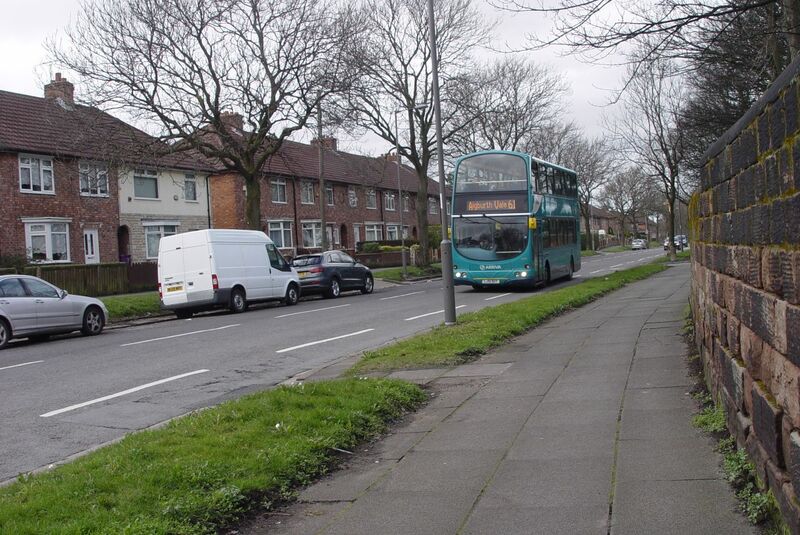 Getting off the 62 bus at the junction of Muirhead Avenue and Lorenzo Drive I’m close to where Norris Green got started. It started behind this wall. 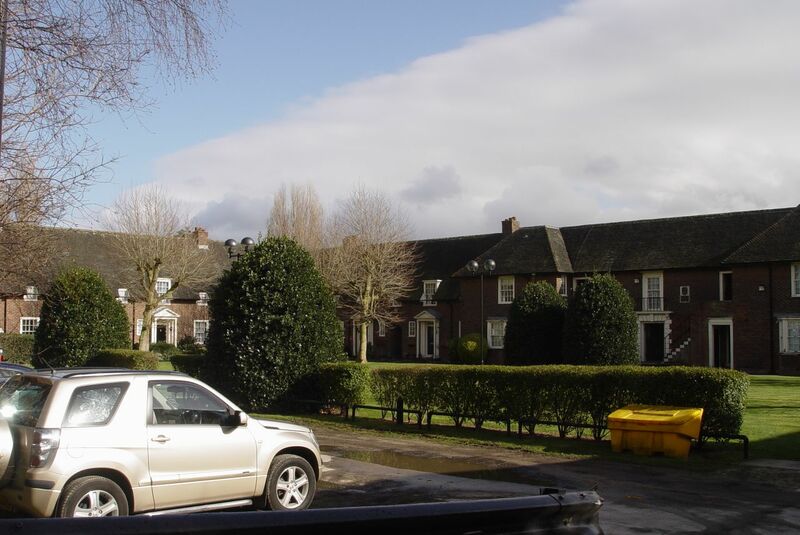 There used to be a mansion house in here called Norris Green, owned by the Norris family (members of which you might have come across before on here slave trading and owning Speke Hall). You can read more about it all on this local history blog. Anyway, the final version of this house was demolished in 1930 to create this park for all of the new inhabitants of a much bigger place, also to be called ‘Norris Green’. In the little park is what looks like the remains of a coach house, built by the mansion’s final owners, the Heywood family. 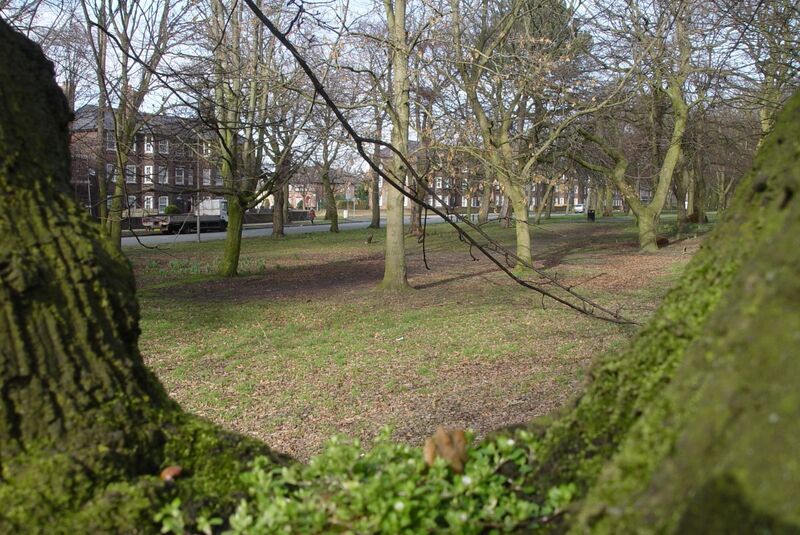 What got built around the park in the 1930s was a huge estate for people from the overcrowded slums and courts of inner Liverpool. From the air, Norris Green. A land of circular drives. 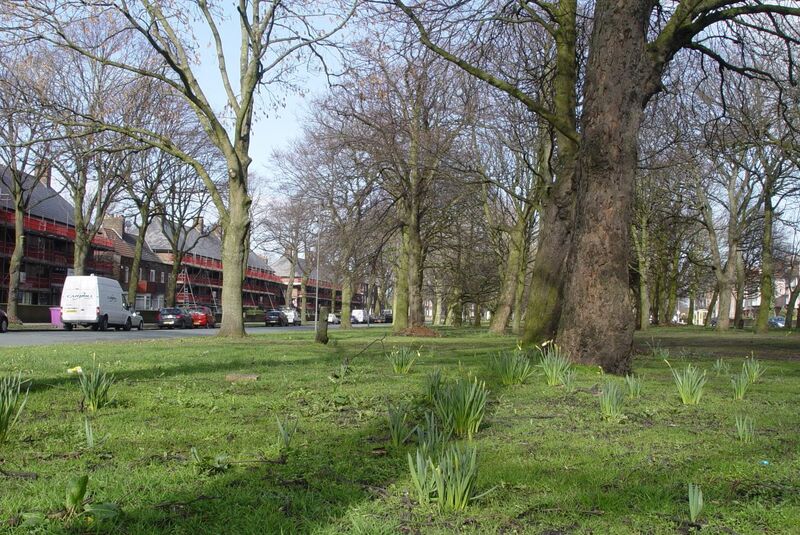 And pleasant, spacious tree-lined avenues with touches of art deco about it. Much of which has worked well ever since. Some of which failed utterly and has now been cleared. Quality of the buildings? Declining maintenance standards of the City’s Direct Works? Poverty? Probably bits of all of them. And now the cleared fields are being built on. 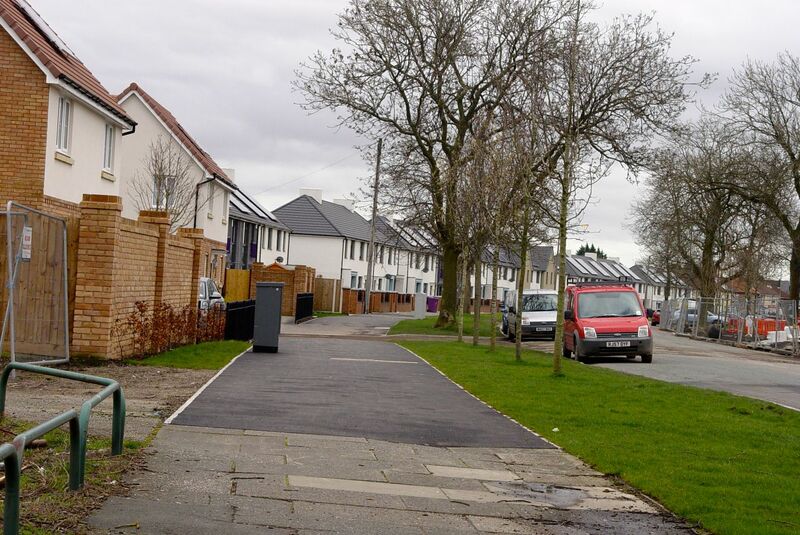 New houses on existing roads. This road with 1930s and now together. 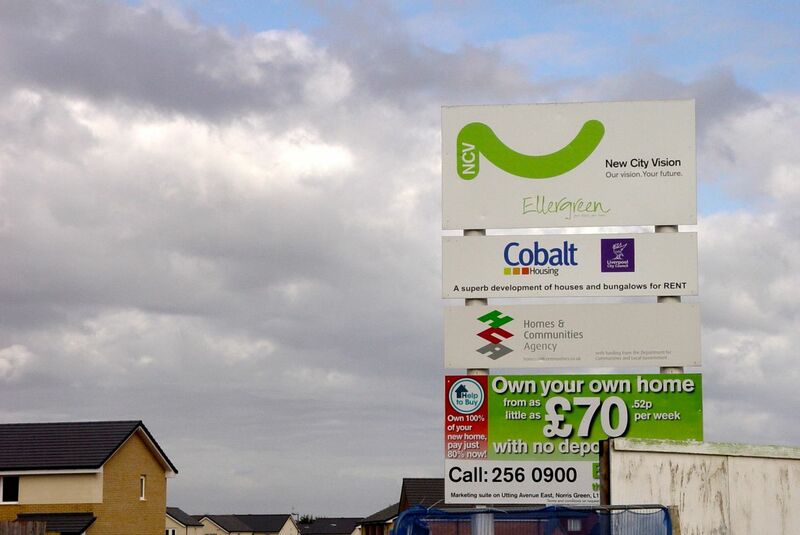 Some of the works being done by Cobalt. 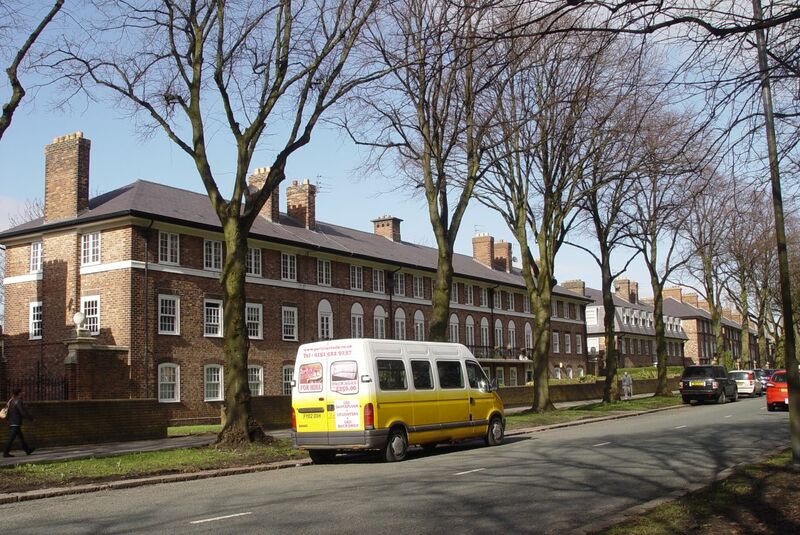 A local, tenant-led housing association which grew from Liverpool Housing Trust, where I worked until the mid-1990s. Walking around today I noticed what I usually notice here. It’s a long way to the shops and the pubs. 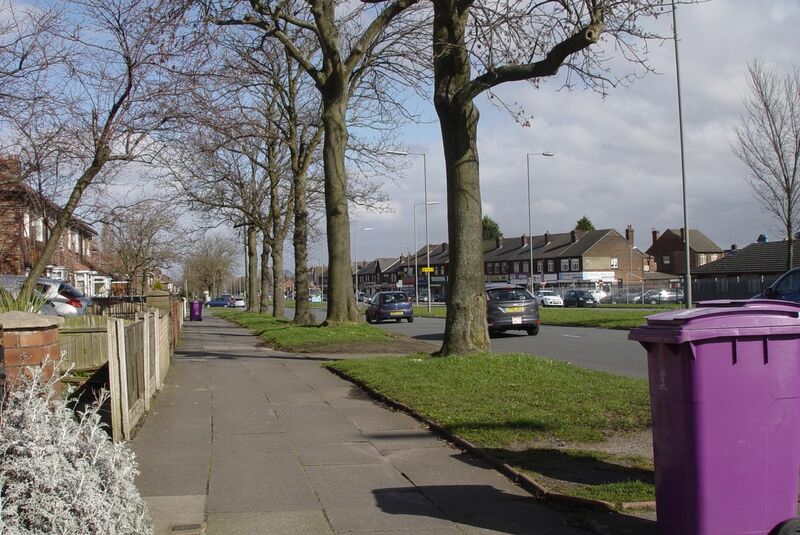 They’re around the edges of the estate, like here back on Muirhead Avenue. Crossing Muirhead Avenue from Norris Green I’m immediately in a different world. 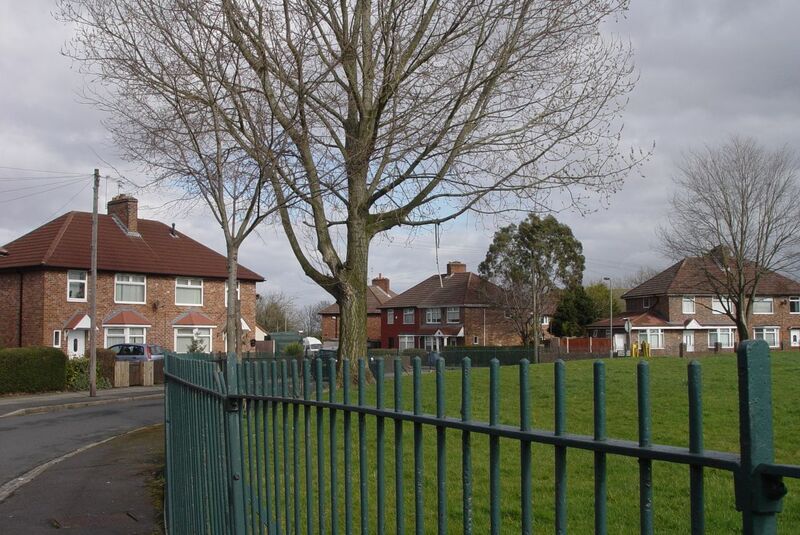 Picturesque and ancient, West Derby. 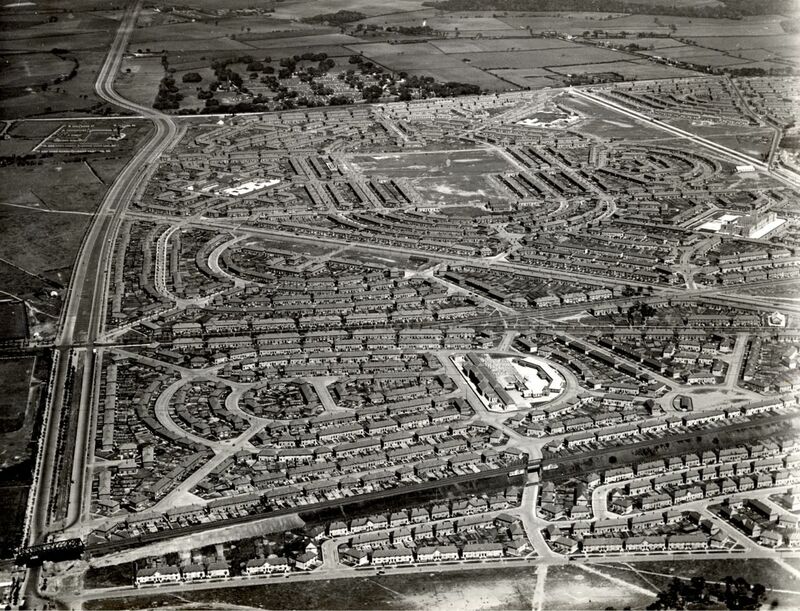 This was here before Liverpool and when Liverpool first got going it was as a suburb of here. This is where the nobility of these parts lived. 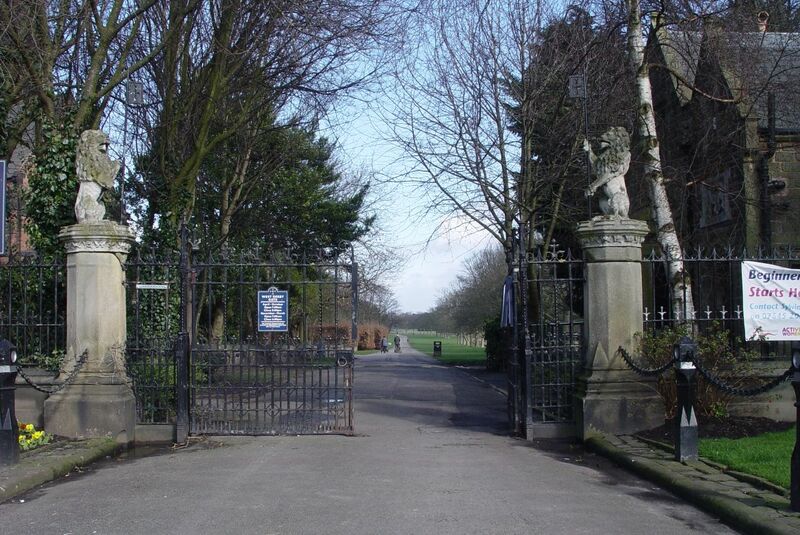 One of the gateways to Croxteth Hall is here in the centre of the village, next to St Mary’s church. As are these ceremonial stocks. And as is right and proper and always has been, the pubs and shops are in the centre of the place, easy to get to, its life and soul. 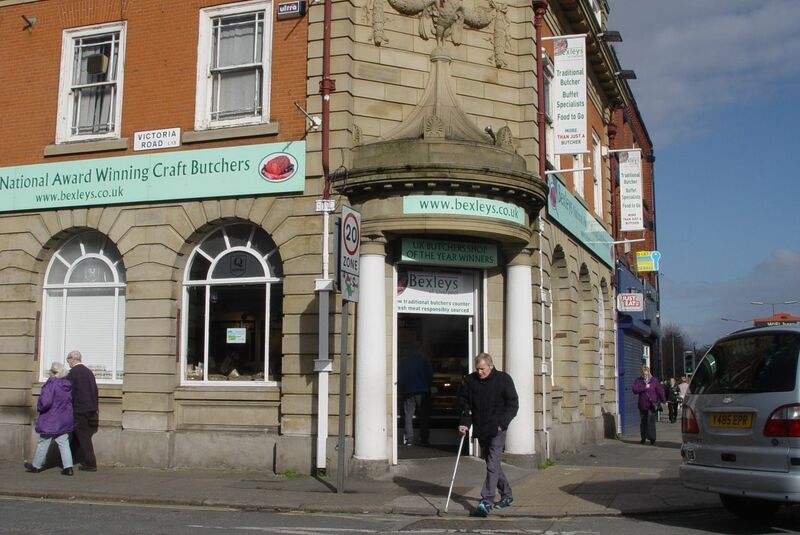 We are half a mile from Norris Green. And hundreds of years apart. 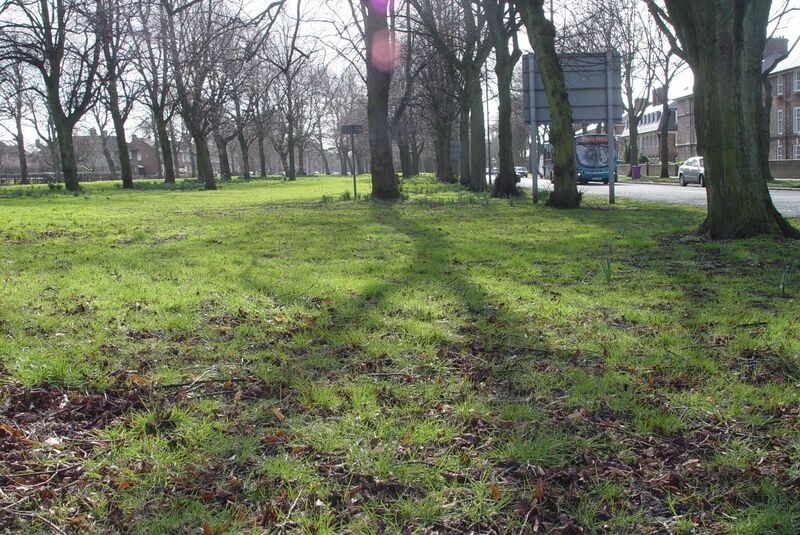 Before leaving West Derby I walk along Hayman’s Green for the first time in my life. 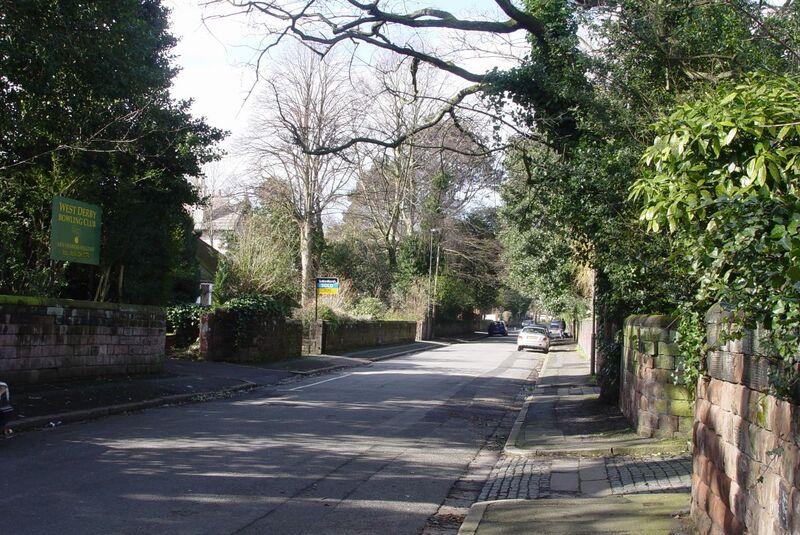 One more pleasant suburban road that can fairly claim to be one of the birthplaces of The Beatles. Number 8 along here was owned by Mona Best. And in 1959 she let her son Pete do up the basement with his mates and open it as the Casbah Coffee Club for them to do gigs in. His mates were John Lennon, George Harrison and Paul McCartney. 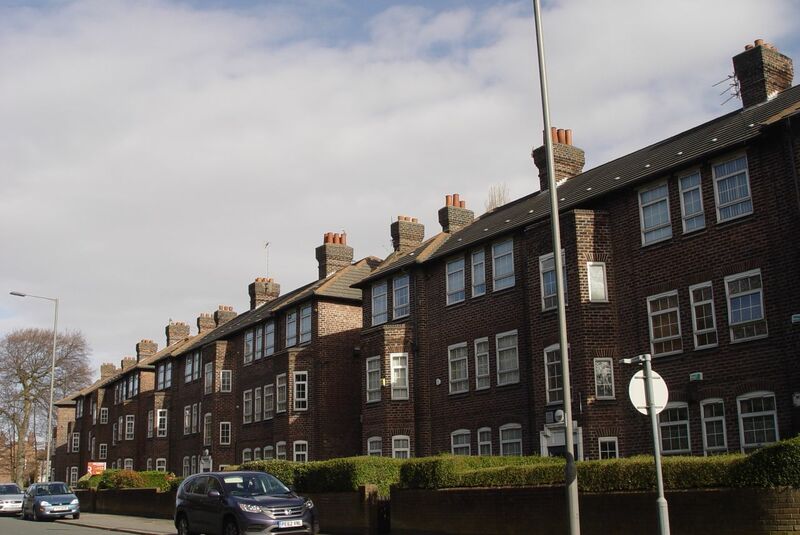 Back onto Muirhead Avenue I find some beautiful housing for the workers of the 1930s. Ogden Close. 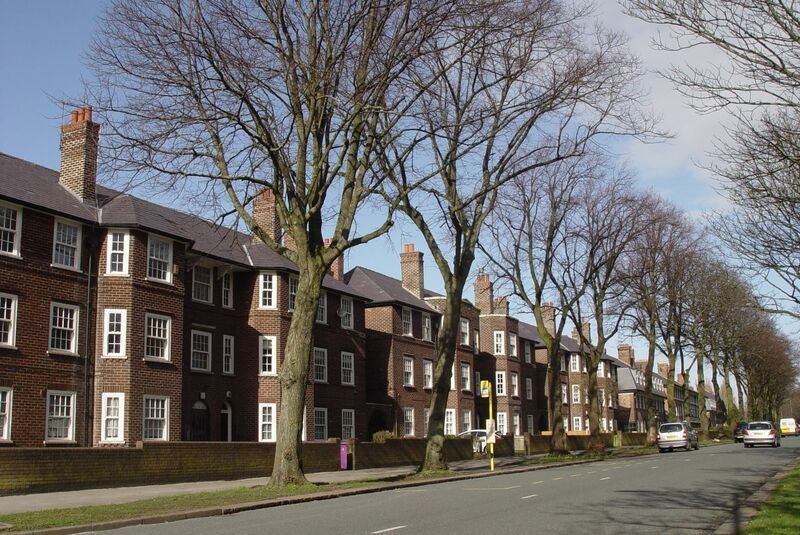 It’s all primly marked as ‘Private’ now but this is classic Liverpool Municipal housing. We’re at Queen’s Drive now. 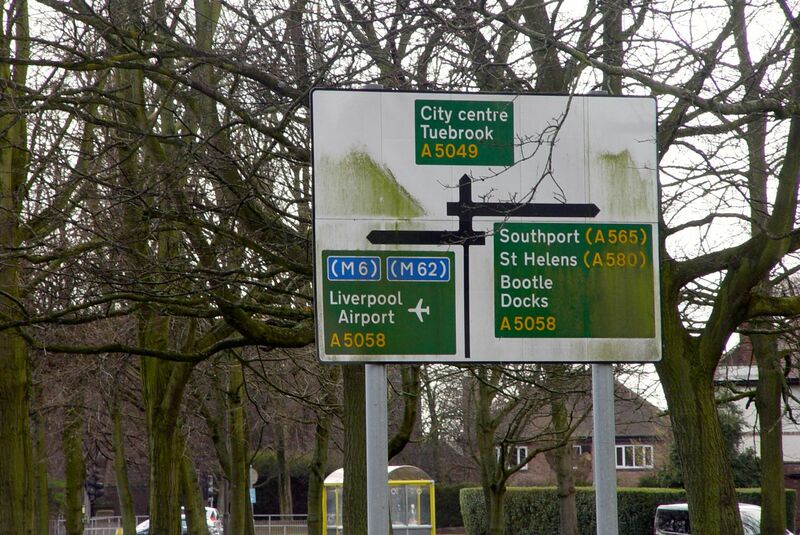 Liverpool’s outer ring road. 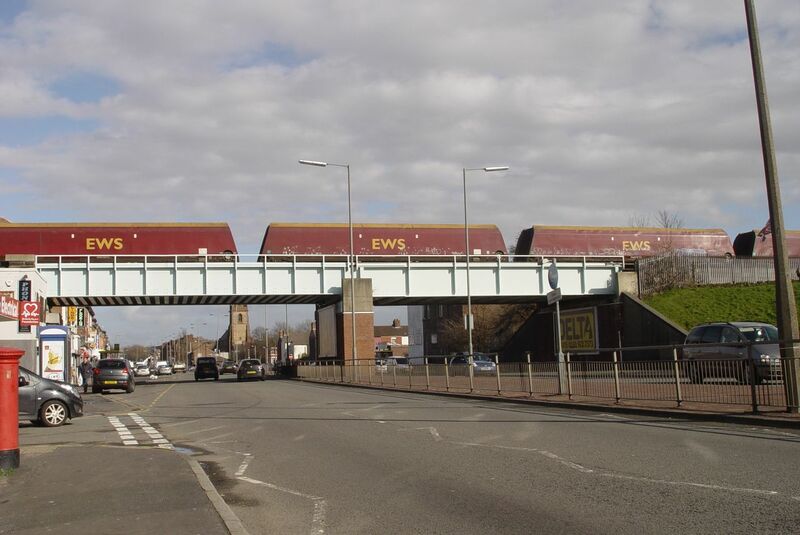 Constructed during the 1920s, the UK’s first ring road. Pausing briefly at this busy interchange, I want to highlight two extraordinary characters I often think of when I’m around Queen’s Drive. 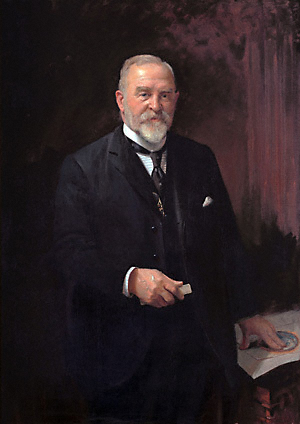 First, John Alexander Brodie. As well as designing Queen’s Drive he also designed the Mersey Tunnel, helped out on New Delhi and invented the football net. Renaissance man or what? Next is Lancelot Keay. As responsible for the look of Liverpool, the Liverpool where we all live, as anyone who ever lived. He was City Architect and Director of Housing for 25 years from 1925. 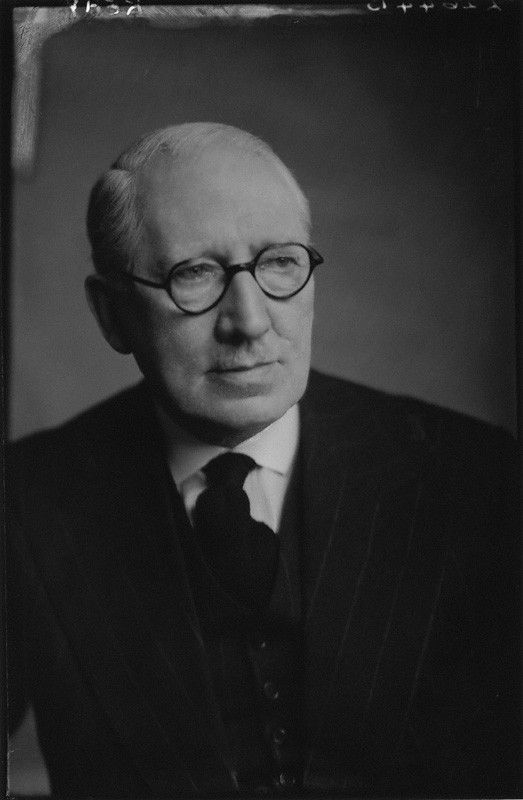 As well as laying out and designing much of the housing out here around the ring road, he was also responsible for the great tenements built towards the centre of the city which were thoughtlessly destroyed through neglect and municipal vandalism towards the end of the century. These two remind me of a city that wasn’t afraid of, or sentimental about its own greatness but just got on with it. Making life better for the people of the place at a time when central government hadn’t so centralised the way the country’s run that characters like these would have had simply no room to move. So I’m glad the lived when they did and did what they did. So we have the city we now have. Not everything they did worked, as we’ve seen. But much of their work gives me so much pleasure when I walk around on a day like today. And show you what I’m about to show you. Some of the most beautiful municipal housing I’ve ever seen anywhere. Just around the corner from this pleasant working class suburban avenue. 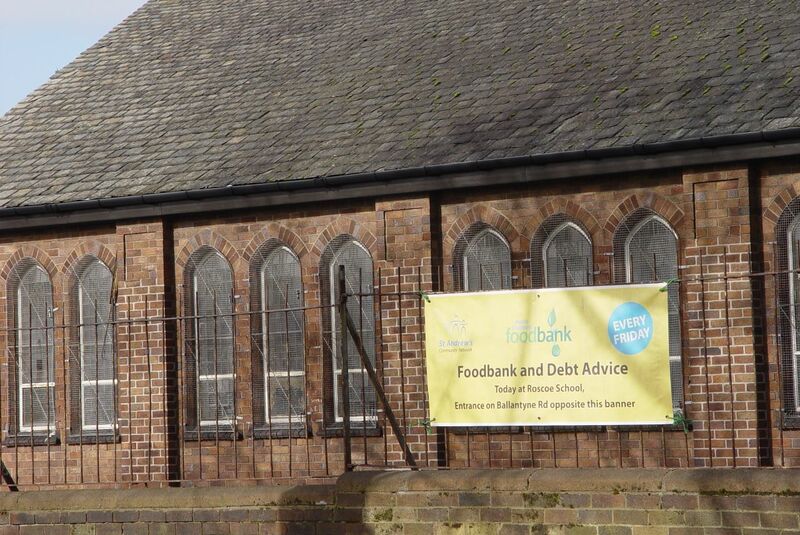 Where times are tough, foodbank and debt advice in the local school. Muirhead Avenue opens out into this huge central reservation. Bigger than recently seen Norris Green Park. And on either side is housing that would grace London or any major European city. Built by and for us. The people of Liverpool. And some of it no doubt privately owned now, such is its quality. But not all by any means. 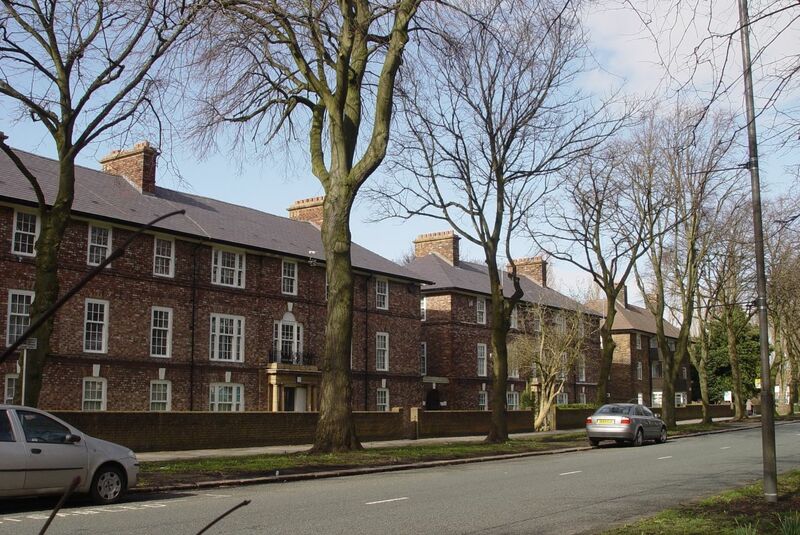 These blocks having works carried out by Liverpool Mutual Homes, who inherited the City’s remaining housing stock in 2007. Well done you LMH. 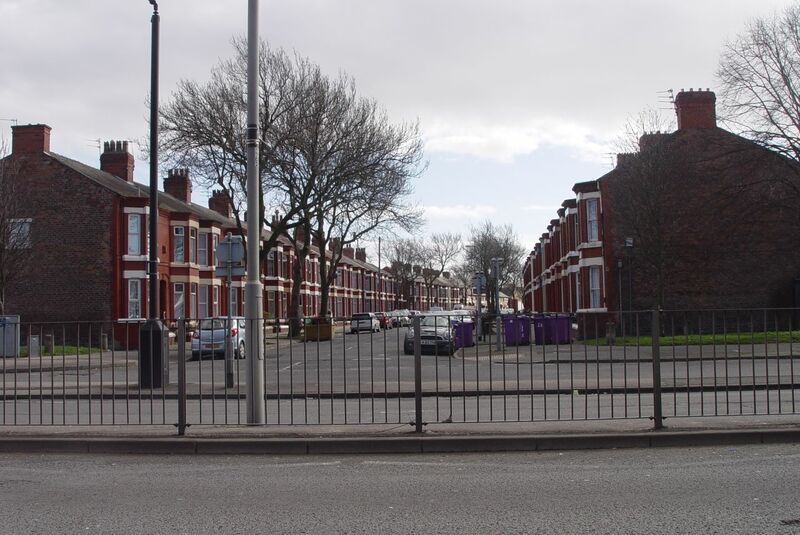 As Muirhead Avenue reaches Tuebrook, a 30s block meets some much older neighbours. And a Georgian terrace, as the city builds towards its centre. At which point our brief idyll returns to a more mixed reality. 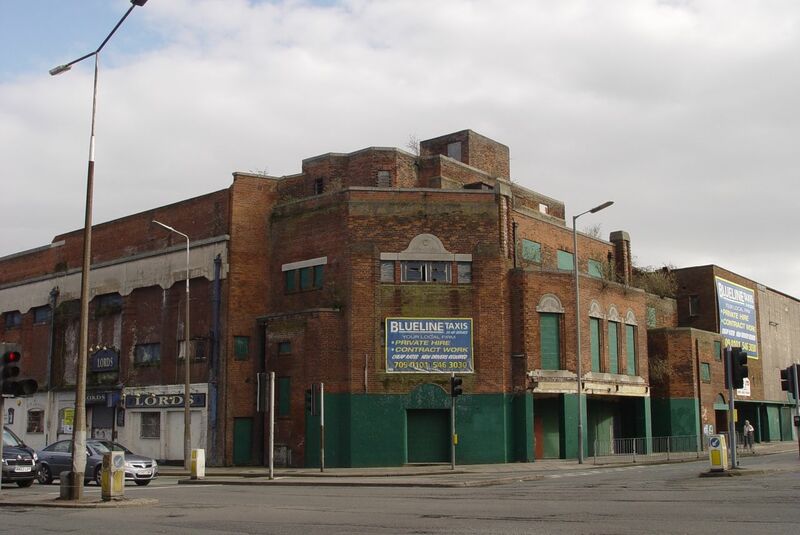 The former very, very grand Carlton cinema and theatre, now in deep distress. 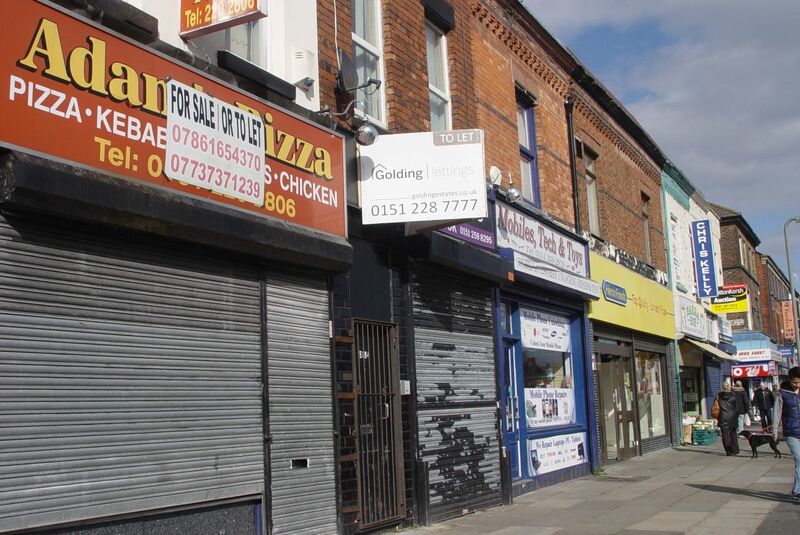 But on the other side of what’s now West Derby Road there are lots of shops. Some of them thriving. Yes this looks like it was once a bank or a doctor’s surgery, but now? 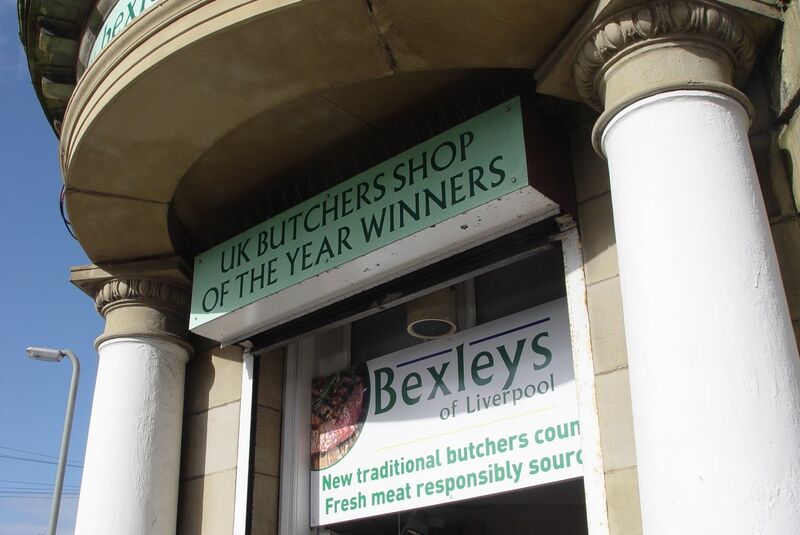 Yes it’s Bexley’s, the Butcher’s Shop of the Year. 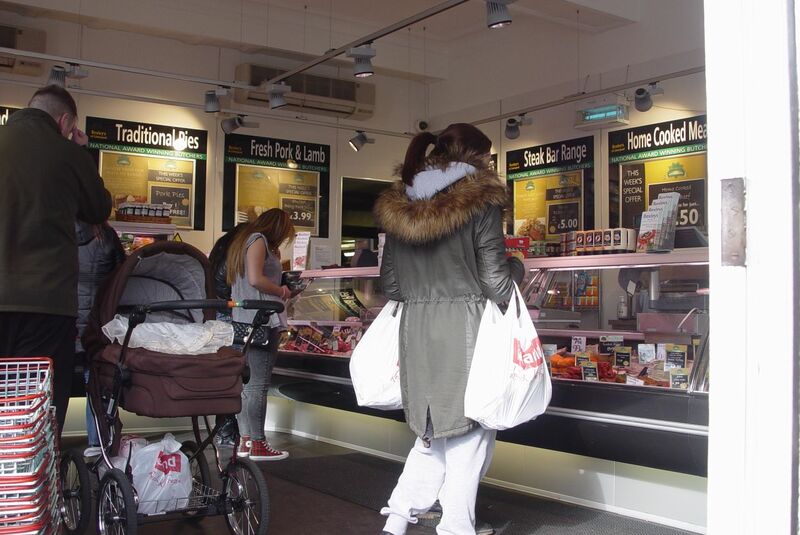 A Liverpool independent, beating off the supermarkets by being good. And clearly popular. Even as a vegetarian I admire such clear quality and enterprise. Good on you. 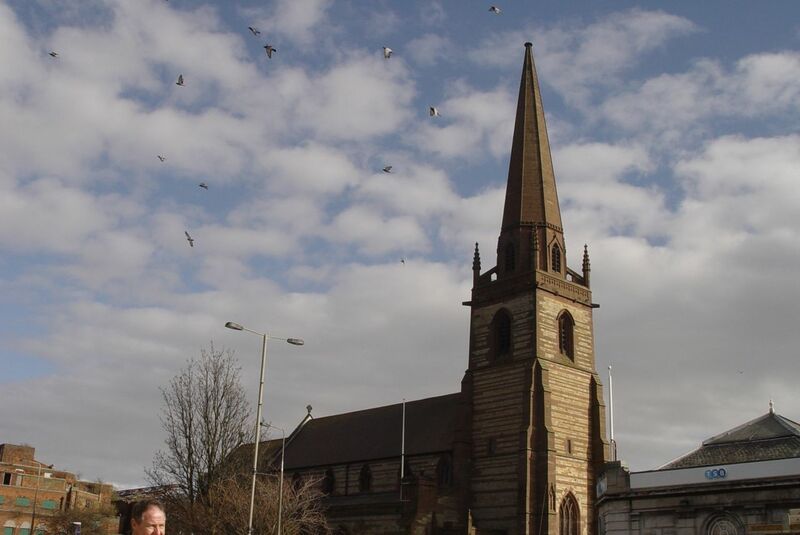 Meanwhile opposite, around St John the Baptist’s, the birds are simply showing off. It’s a curious high street though. Shops just along one side. Though there are some terraces opposite, there’s a big park coming up. So most of the people are over here. Where the shops are. But they’re not all doing well. 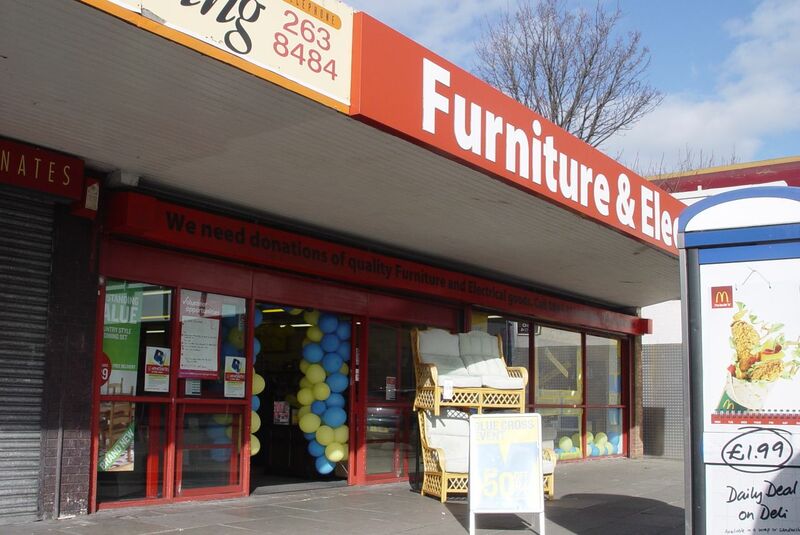 And there’s this big charity shop asking for donations. But it’s got a great sense of place, and even an active goods railway line crossing the street. Together with one of the city’s most treasured and knowledgeable record shops. While I’m flicking through the LPs, me, the proprietors and the other customers enjoy ourselves talking about Charlie Rich, Lene Lovich, Squeeze and other of life’s essentials before I leave. With just one LP this time, Tracy Chapman’s second. I’ll be back, of course. But for today, it’s time to go home. 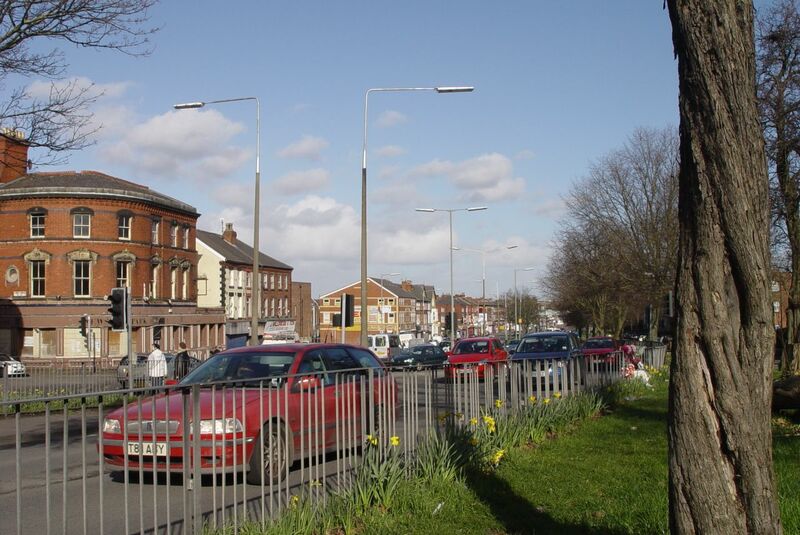 Across West Derby Road. 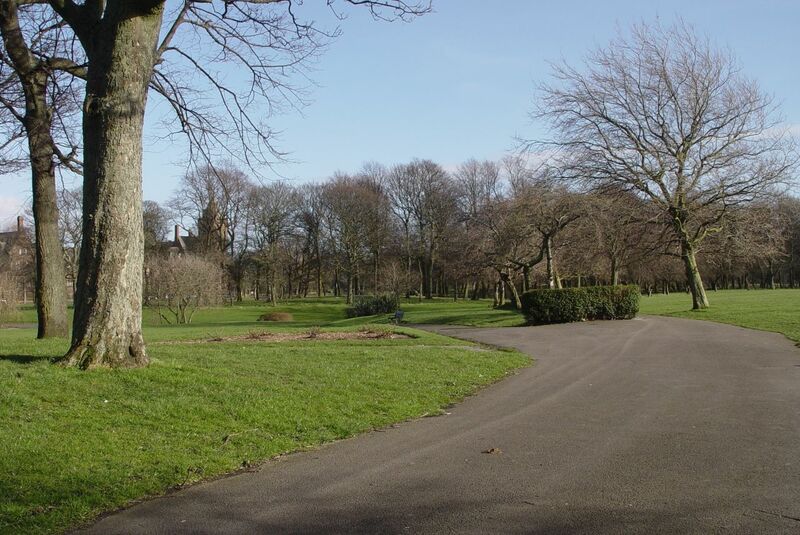 And into Newsham Park. Huge and Victorian. 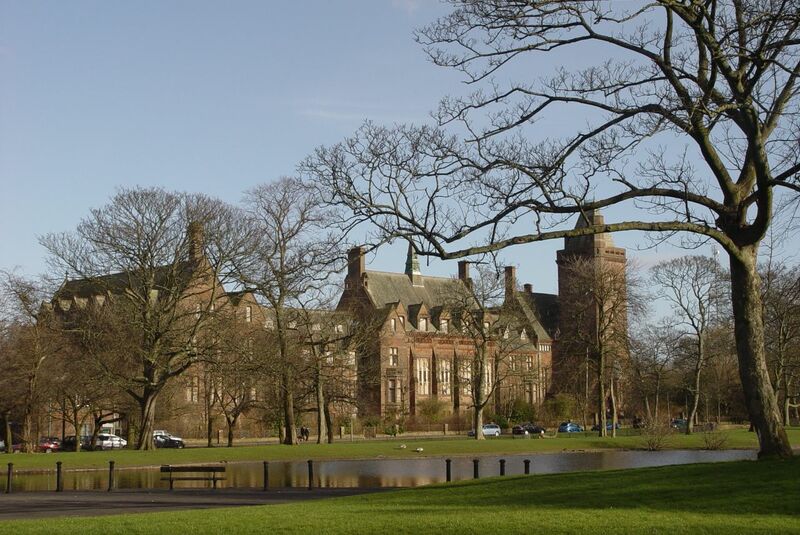 Past the former orphanage and Newsham General Hospital, where new possibilities are stirring. 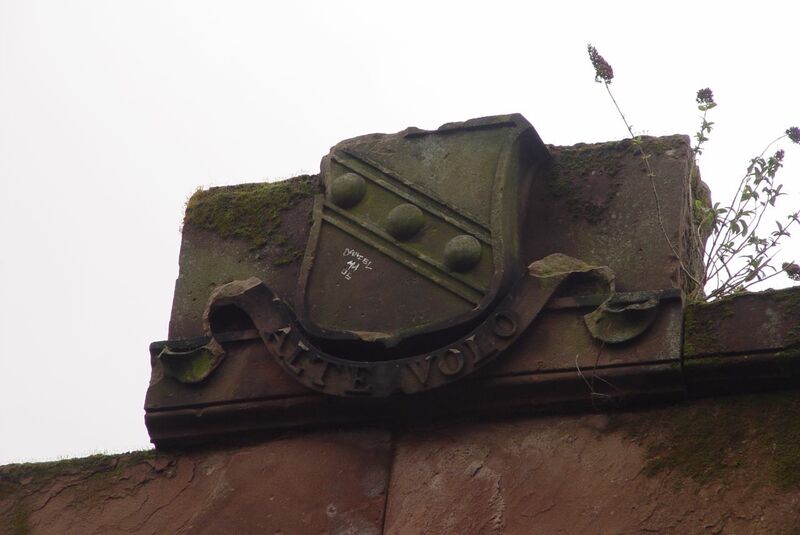 And past its wildwood area, out onto Prescot Road. 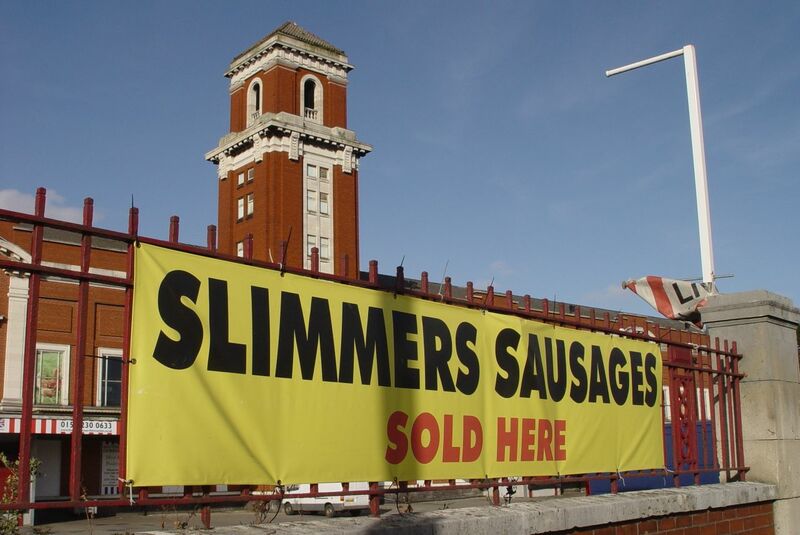 For another tempting meaty offer from Stanley Abattoir, or ‘Liverpool Meat & Fish Market’ as it now styles itself. 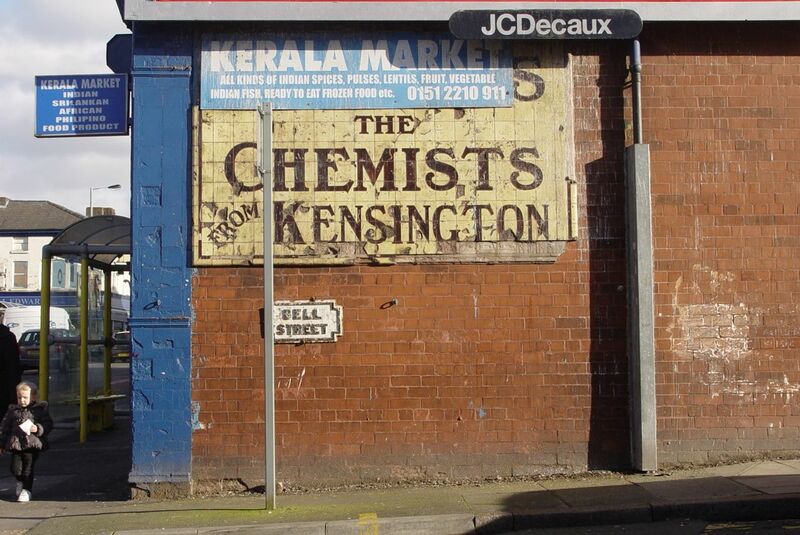 Past this lovely ghost sign off Prescot Road. And through Old Swan to home. Thank you. A lovely post which really did provide a great sense of a very fine place. Good to see high quality municipal housing and the ideals which inspired it being celebrated. It’s a privilege to live nearby and be able to see it and celebrate it. 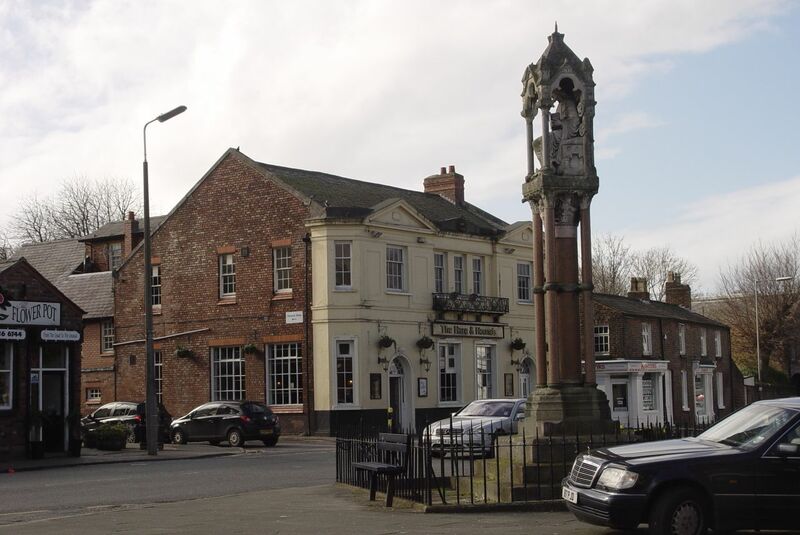 My formative years were spent in West Derby Village in the 1960’s. 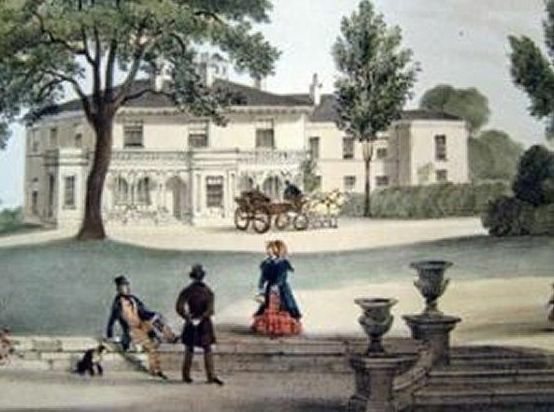 Hayman’s Green was particularly interesting, with the large houses, including Green End with its Tennis Court. 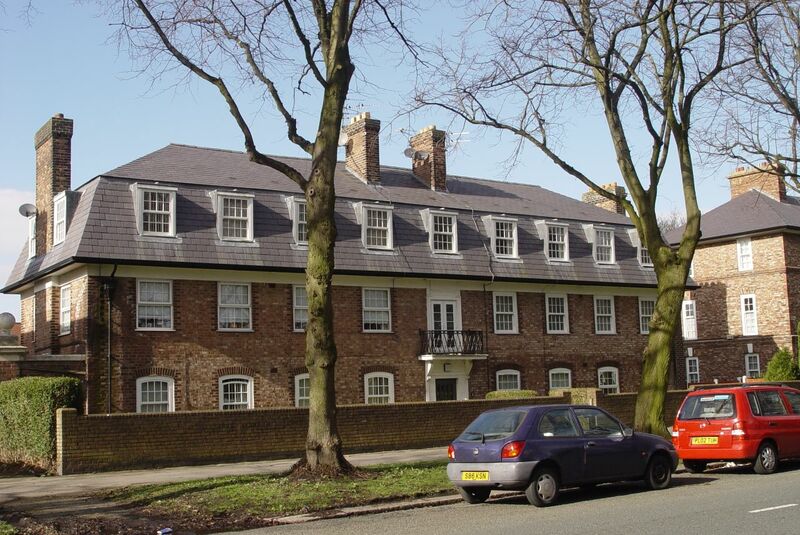 The Countess of Sefton used to be driven up from Croxteth Hall to the Court Hairdressers in the Village. Incidentally, all the town planning mentioned was undertaken by Conservaive Councils. I really enjoy your blog it shows me what I should be doing instead of sitting behind desk at 59. Did you miss the Elizabethan court room, opposite the gates to the manor house, in West Derby village? Or did you deliberately omit it. Glad you’re enjoying it Chris. And no, no deliberate omission. I hadn’t planned where I was going on this one, so had done no research on what I might see. That’s why there’s no photo of 8 Haymans Green either – couldn’t remember the number while I was there! I’ll be back for a longer look though. 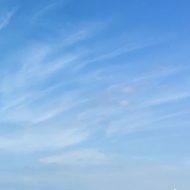 This is my home turf, so it’s great to see another point of view on it. 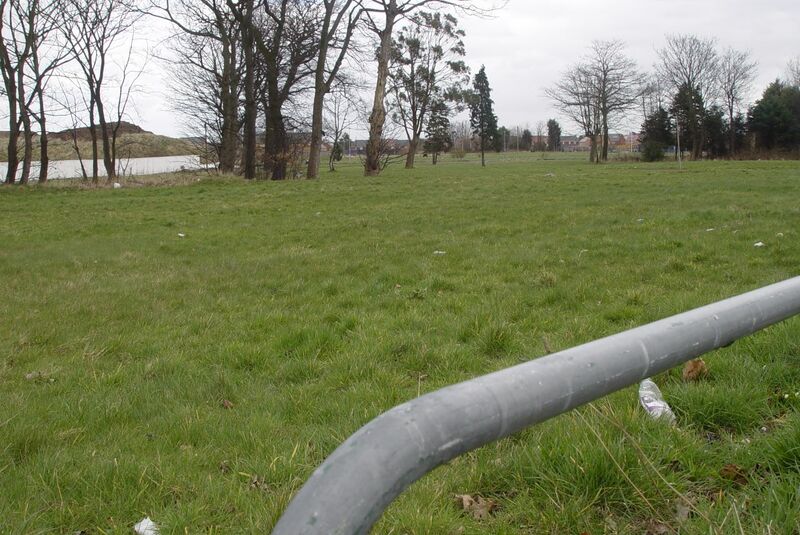 I really like your contrast between West Derby and the estate – I’d never seen it put so starkly, and yet the issues in Norris Green (access to services) are very true. Even though I grew up about a mile from the village centre, since moving away I’ve never had as easy access to shops. 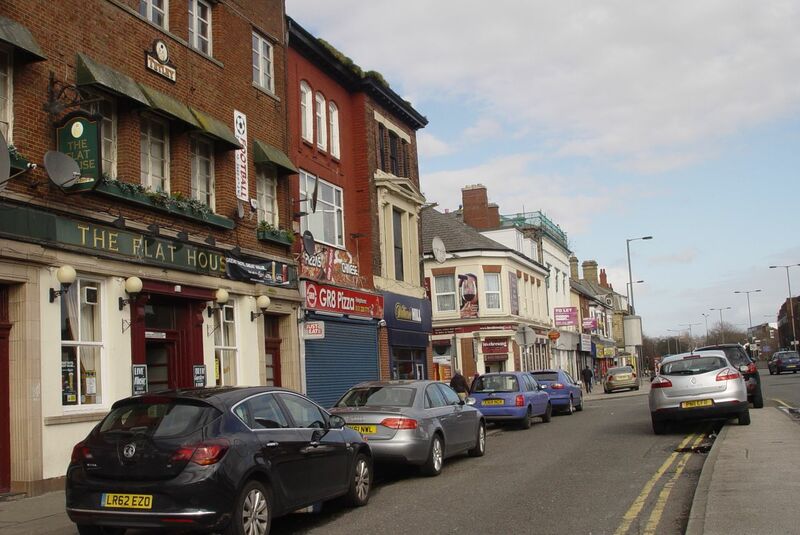 West Derby, Alder Hey, little rows of shops opposite Walker’s Playing Fields and near St Paul’s Church on Town Row, plus Old Swan were all within walking distance. There are plenty of pubs too, and schools, and quiet roads (and playing fields). I was so lucky to grow up there. I’m not sure how planned it all was, but it’s a good lesson for modern developers. 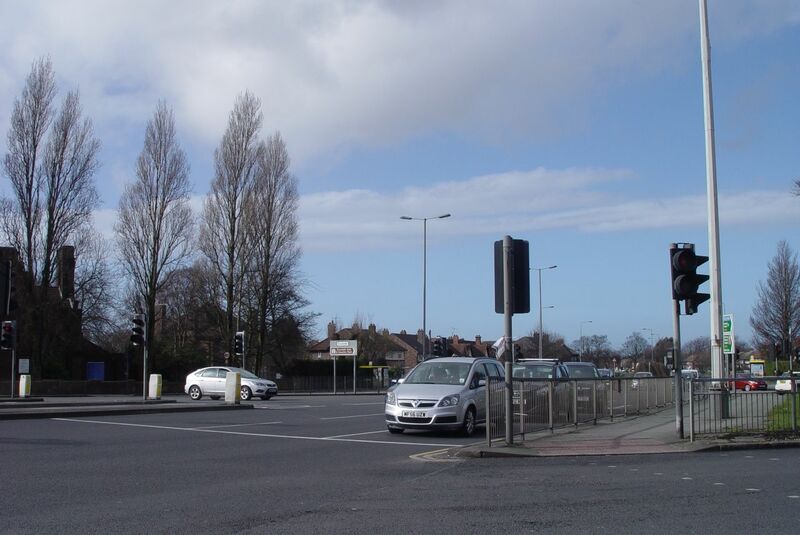 The huge central reservation on Muirhead Avenue grew partly out of a grand drive to the house Lark Hill, which can be seen on post-1850s OS maps. 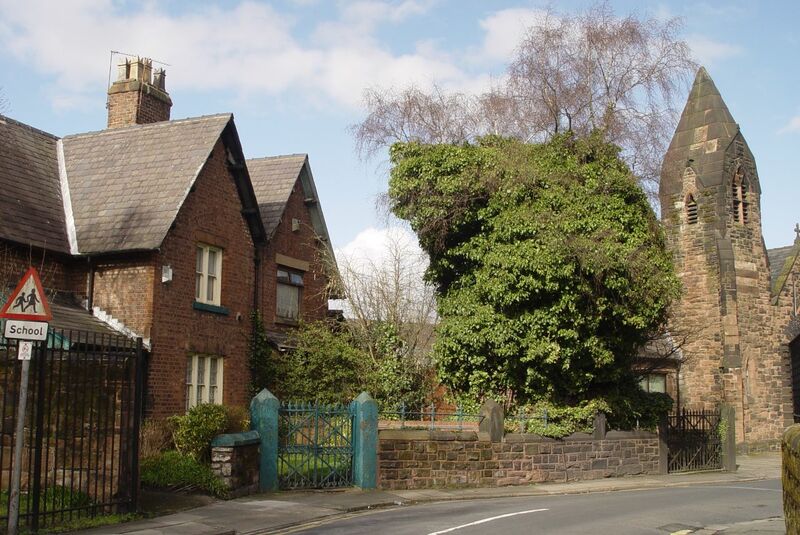 I love that these bits of history (large houses were characteristic of Victorian West Derby) are still used today. 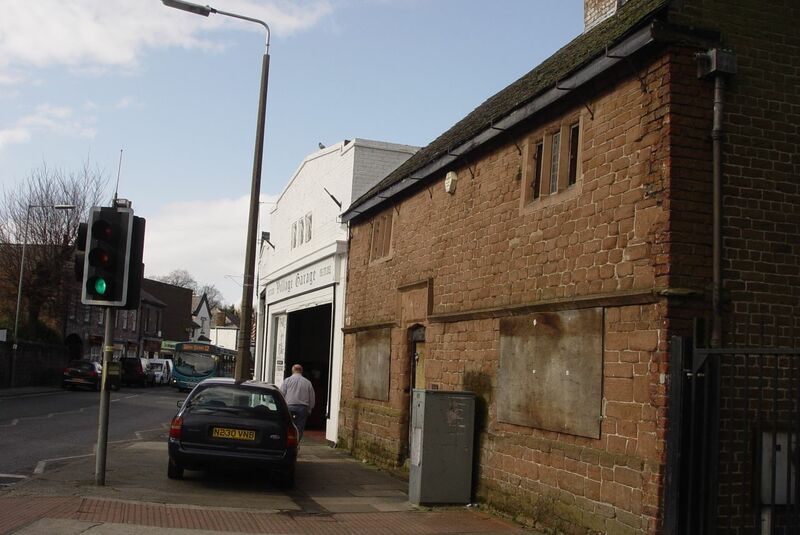 West Derby’s history was inspirational for me as a boy, and I blame my continuing landscape history obsession on things pointed out to me in the old village centre by family and teachers at a crucial age! Thanks Martin. 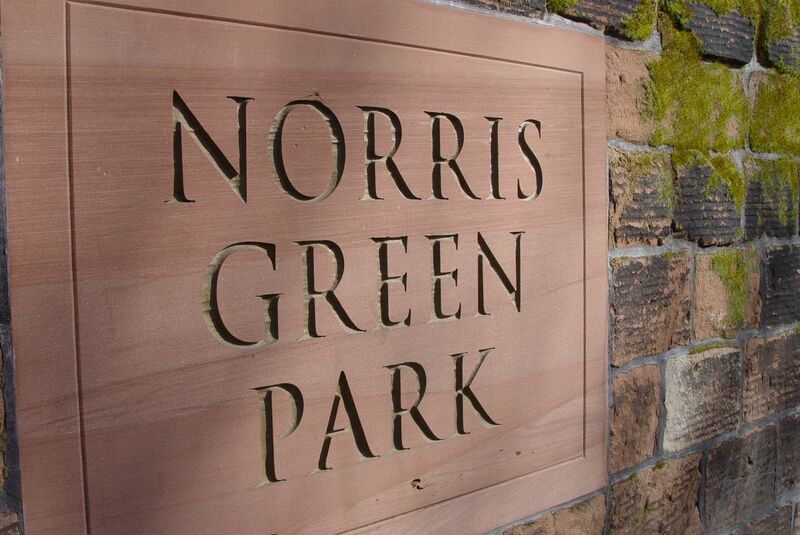 I’m more familiar with Norris Green than West Derby, hence I suppose the starkness of my observed differences. And well done to your family and teachers for rooting your learning in the place where you were. Fascinating stuff. 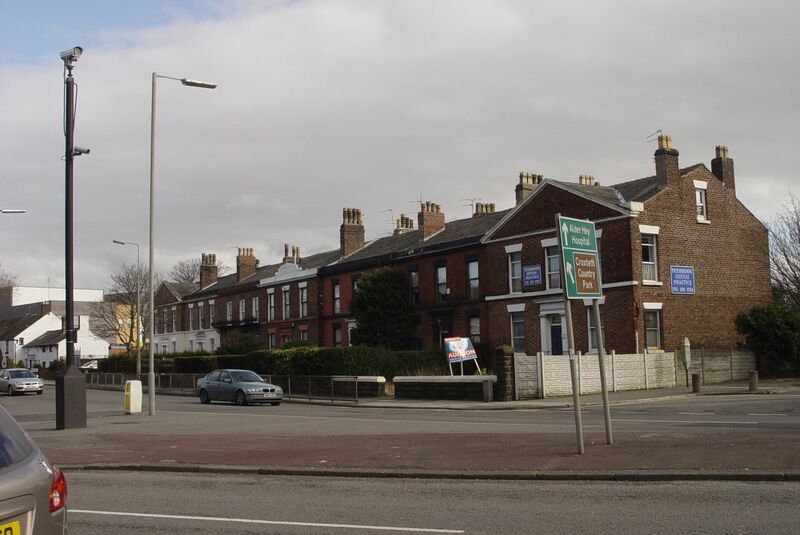 I’ve just moved to West Derby, not far from Muirhead Avenue and was very interested to learn that the wonderful buildings along there towards tuebrook were housing for workers. I thought surely they would have have rich owners in the past. Thanks. I’ll be reading more. Thanks Paul. Time was the authorities thought workers deserved only the best. As highlighted in my last couple of posts from the 27 bus! 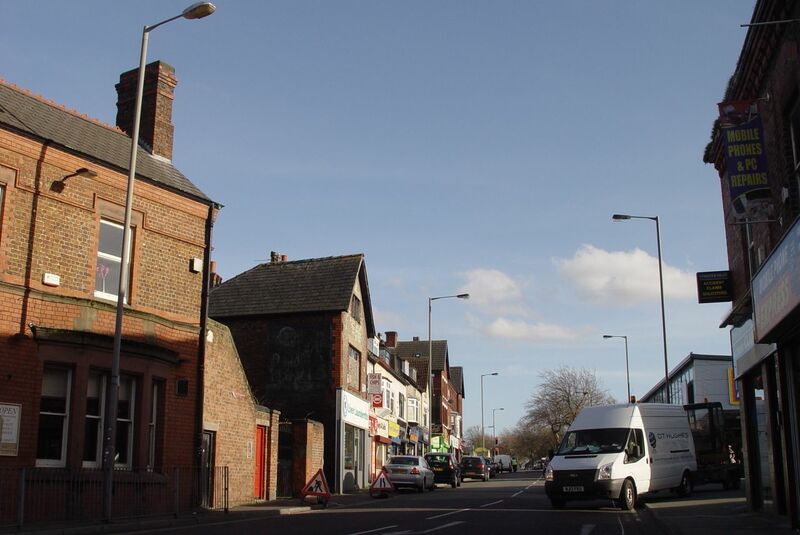 You wondered why there were only shops on one side of West Derby Road? 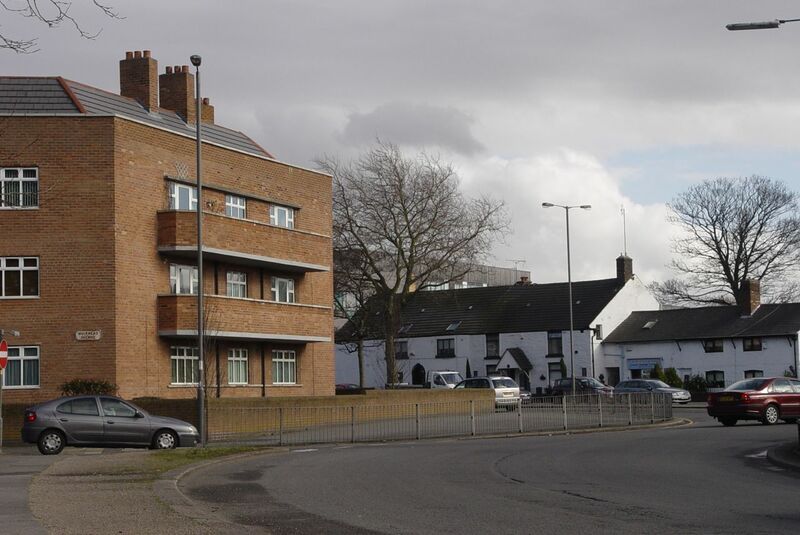 This was due to road widening, to a dual carriageway, in the mid-60’s, when the whole side, including the original police station, was demolished. This happened all over Liverpool, the usual signs being terraced streets, with no end row, so you just see them side-on! Thanks Steve, well, as ever, it makes for a very unbalanced street. Like the city was sacrificed to the car. Have you seen my 1948 post about the beginning of this idea? I was born in 1963 at home, 124 Lewisham Road. The 6th child in a family of 8 children. The oldest child being only 9 and a half when the youngest was born. We spent our childhood outside and walked for miles around this whole area. Sometimes we stopped a bus and said we had lost our busfare, the bus driver always took pity on us, probably because the ‘little ones’ were in tow. 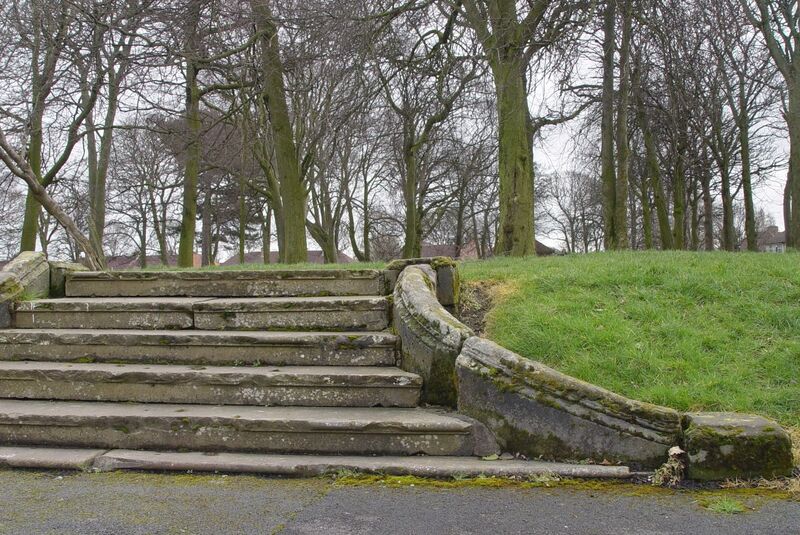 All of these photos evoke such memories, the park steps that I never knew had such a history. 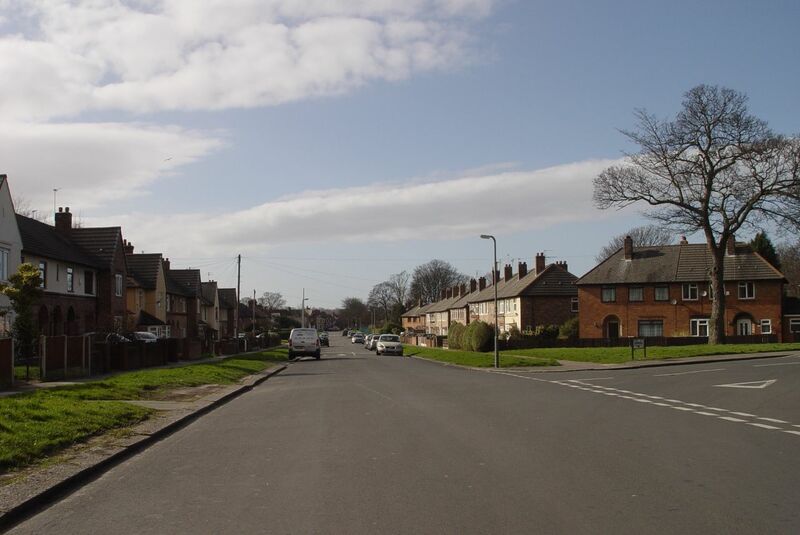 Those beautiful houses along Muirhead Avenue that meant we were nearly home. 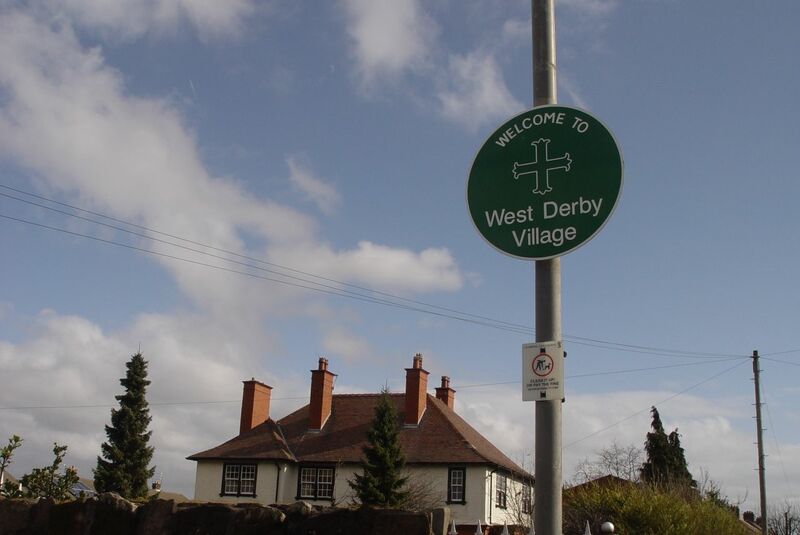 West Derby Village and Lord Derby’s Estate was frequently visited by our little troop. Thank you Dorothy. 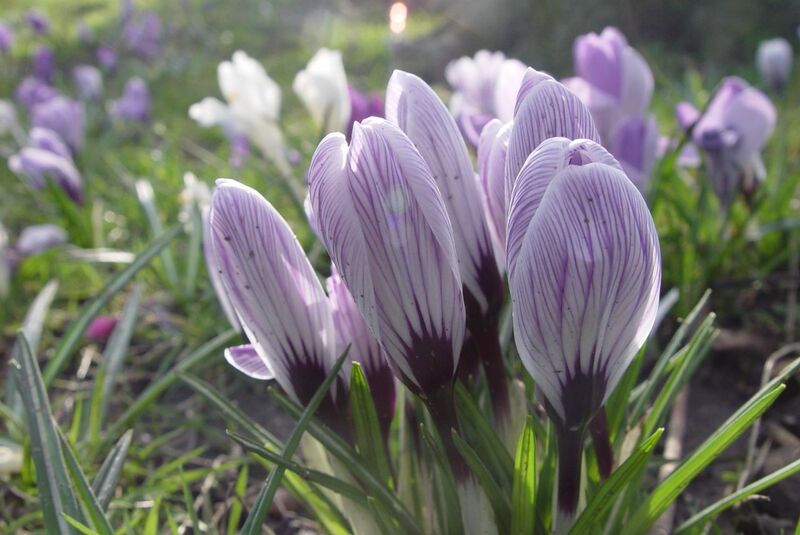 Lovely to hear from you and that the photos mean so much. 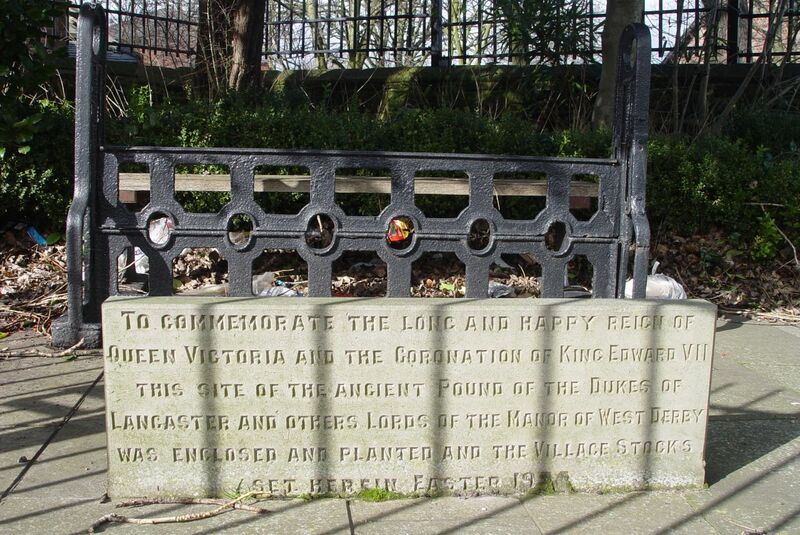 My mother was born, and lived her formative years, on Faversham Road near the Crown. She was the last of 17 children, so I consider myself somewhat lucky to write this. I can only imagine her parents were part of the migration from town to the suburbs. 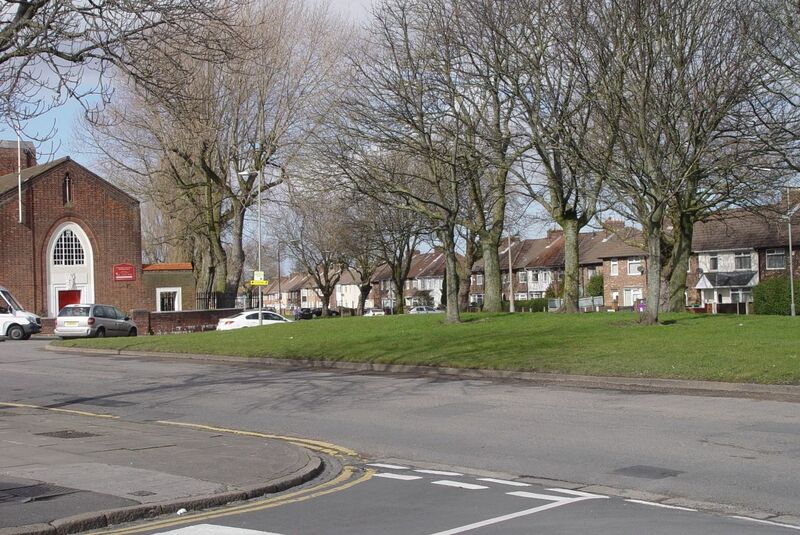 I have fond memories of visiting my Grandmothers house when mum used to take my sisters dancing in Norris Green (Elsie Smiths School of Dance was up near Broadway). I live a year of my life on Faversham, in between my present existence in Canada. I am intrigued to see how clean the estate looked when it was first built. It must have been a great area to live in it the 40s and 50s. I used to walk along Wally Hall avenue, or get the bus if it rained, to go the match (Anfield). 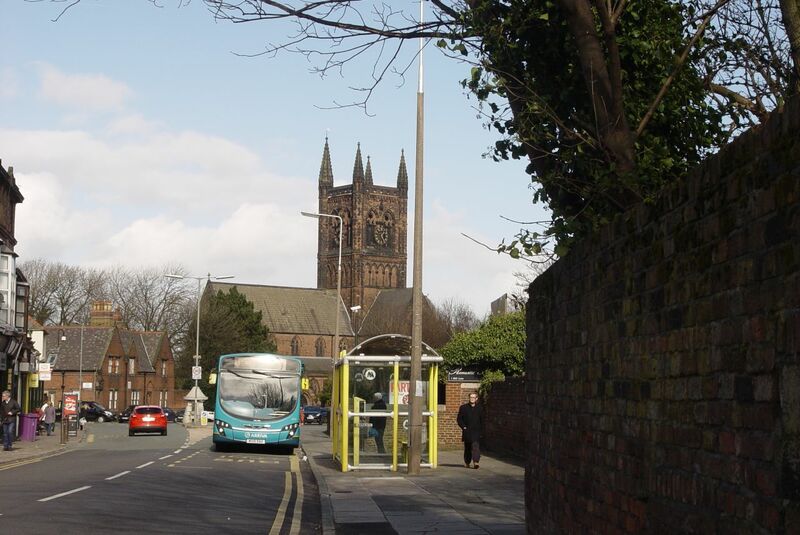 Get the 61 bus to school near Alder Hey Hozzy, and go to Church in behind the Crown. What was the shop ion Stopgate lane called, where my Auntie Lily got her bread? Mitchells!! It just cae to me. No bread if you got there late in the morning. We used to go the church right next door as well. Happy days! My mum worked part time at Mitchell’s in the late 50’s I went to school with the daughter Valerie and we lived at 322 Walton Hall Ave, then in 59 we moved to Morningside Rd between Broadway (Norris Green and Muirhead Ave (West Derby) as it was known, although we said we lived in Lord Derby’s Estate !! 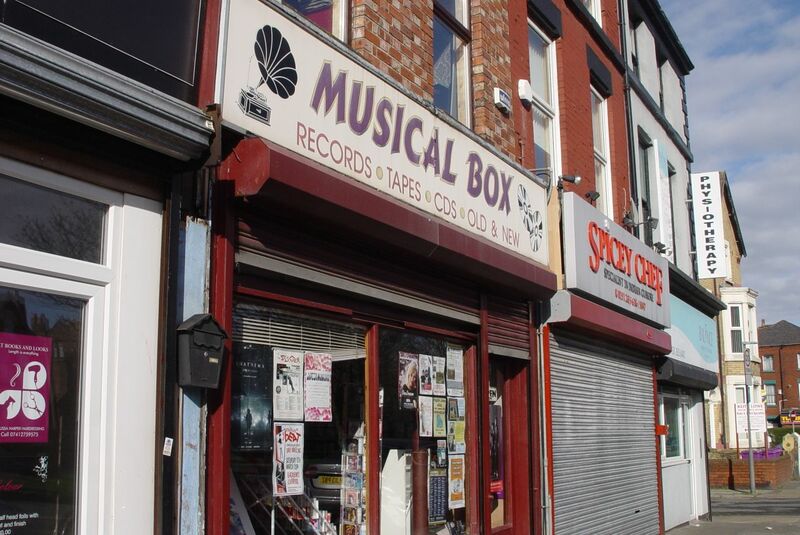 Remember the shop Records & Toys sweets in the front and records in the back room, and the owner Frank nice man. Remember the Carlton too. A great picture house in its day. We’d get the 68 from the Rocket across to Tuebrook on Satdee. Used to be 5P for the Satdee matinee, but it was basically a mad house really. Kids were nuts. No one watched the pictures. I recall the anthem we all sang for the matinee “We are the boys and girls well know as, members of the ABC” – Reckon the Carlton used to be an ABC theatre. Sad to see such great buildings forgotten. 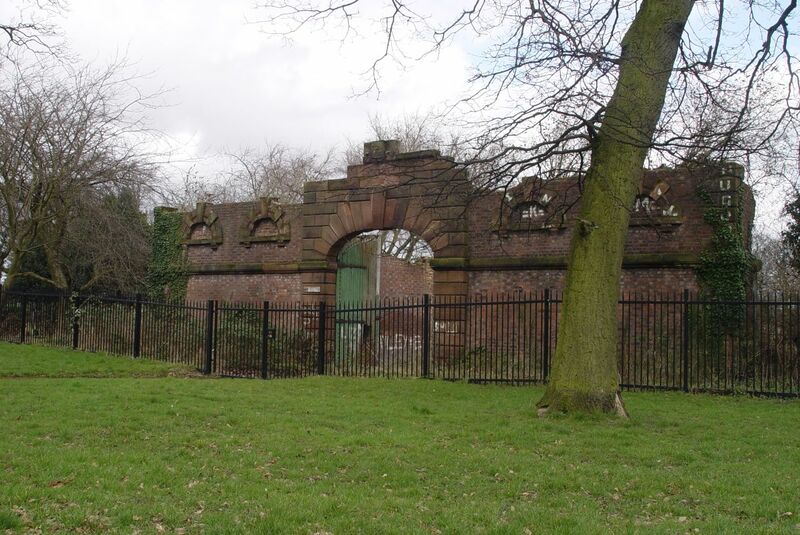 The Abbey in Wavertree is another fantastic building that was ignored. Thanks for posting these great picture. I shared with my mum and dad who are sure to appreciate it too. I remember the bowling alley that the Carleton cinema was next to 🤭 spent a bit of time there with friends 1966-67. Knew a guy called Derek Boyd in the sixties from Norris Green often wondered what happened to him anyone know of him ? I sit here in West Sussex on my IPhone looking and remembering my childhood in Norris Green with my Nan and Grandad aunt and uncle. 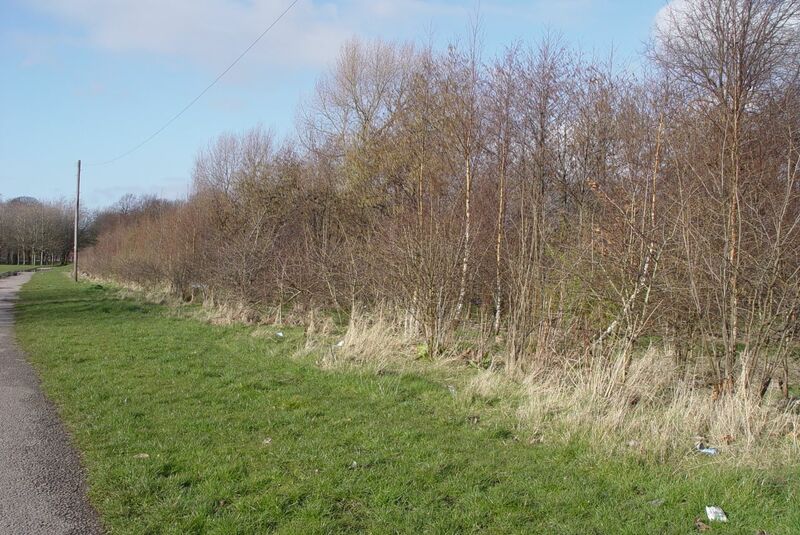 It is especially sentimental to me now as my mum died recently and honouring her wishes we went back to West Derby. Memories!! I lived at 34 Glassonby Crescent, my biggest memory was the decent size garden we had. We were luckier than the neighbours over the road in the uneven numbered houses, we had an upstairs bathroom and toilet, their toilets were right outside the back door! 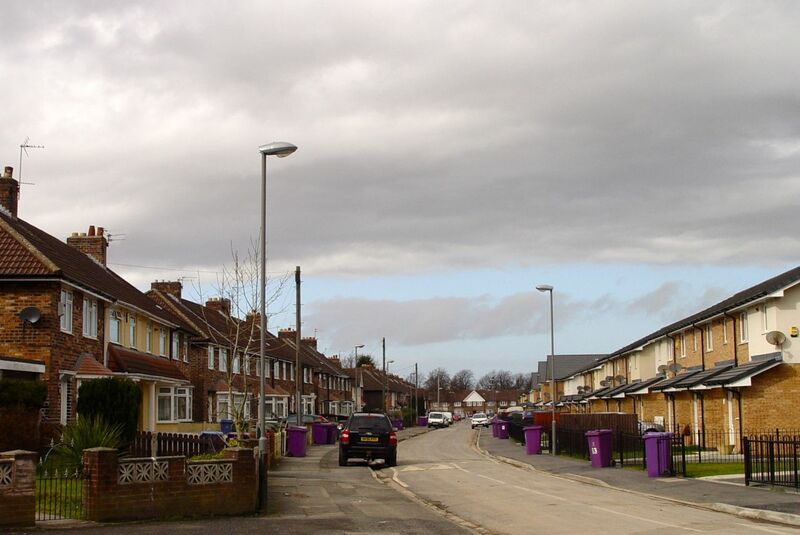 Wasn’t the design of the estate based on the garden cities? 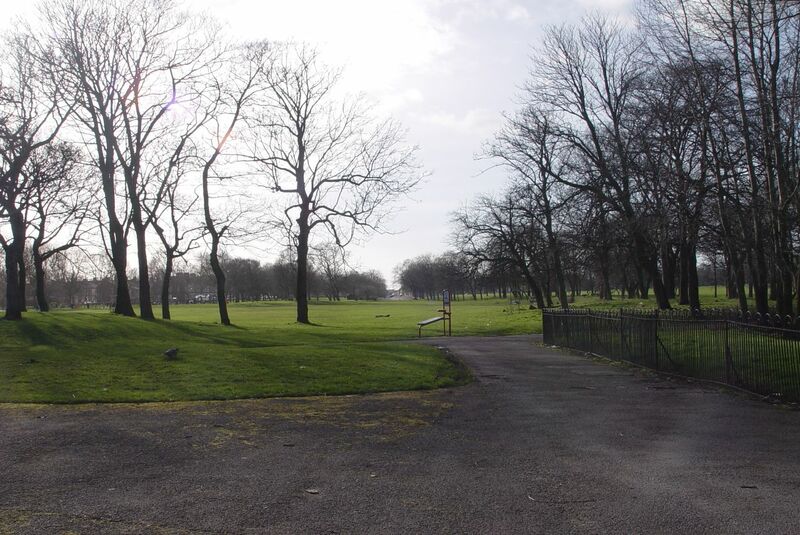 My wife and myself had a walk around Norris Green Park last year. 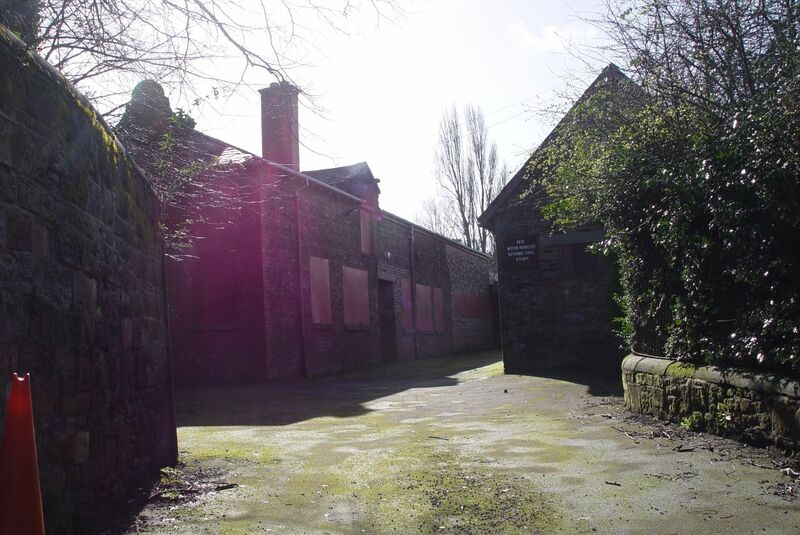 I was struck by the starkness of it, not a flower in sight, and it was sad to see the decline of the ‘Coach House’, this used to house the gardeners, and if I recall correctly the security team. It may also have provided stables for Police Horses, but I’m not too sure about that. Really enjoy the blog. 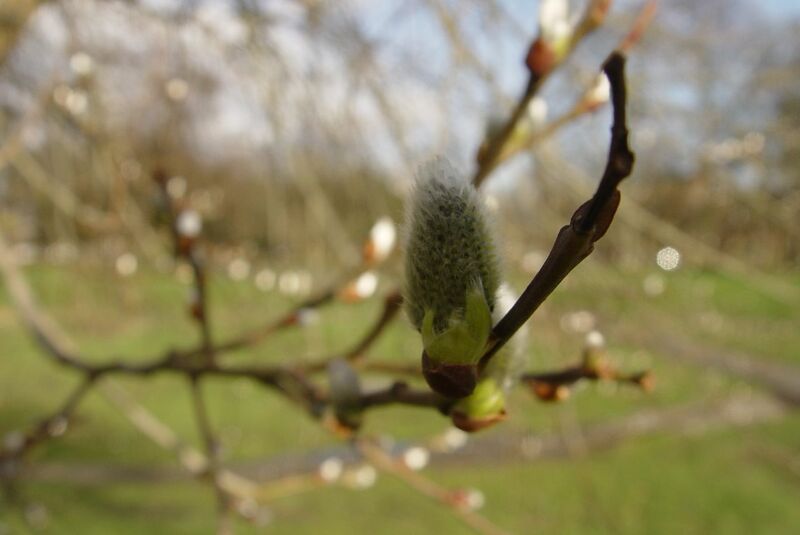 Thanks Rob, there’s a new friends group, recently set up, that’s helping with the park now you’ll be glad to hear. Glad you’re enjoying the blog. Just remembered, St Christopher’s used to host a garden fete every year. I recall Bill Shankly being guest of honour one year in the sixties and being a mad Liverpool supporter was delighted to actually meet him! Yes I remember the white elephant stall and the Friday night youth club with The Bumblies playing !! I was an apprentice gas fitter and plumber in A.B.Bridge in West Derby Village (practically facing what was then Ron Yeats’s garage) in 67 and vividly recall a job coming in for Haymans Green with the householders name on the job paper being Mona Best. It was to change her gas meter in the cellar (present one having a leak) Remember her being such a lovely chatty lady. Recall too, seeing all writing and artwork on all the walls in the cellar and around 4 or 5 small tables and chairs (it was a huge cellar!) Thought all this being really strange. Alas didn’t realise at the time the significance of where I was, was never into the Beatles and didn’t mean anything to me at the time…was more into Led Zeppelin!